Recently the Monterey Herald conducted their second annual Readers Choice Awards - "Best of 2015." 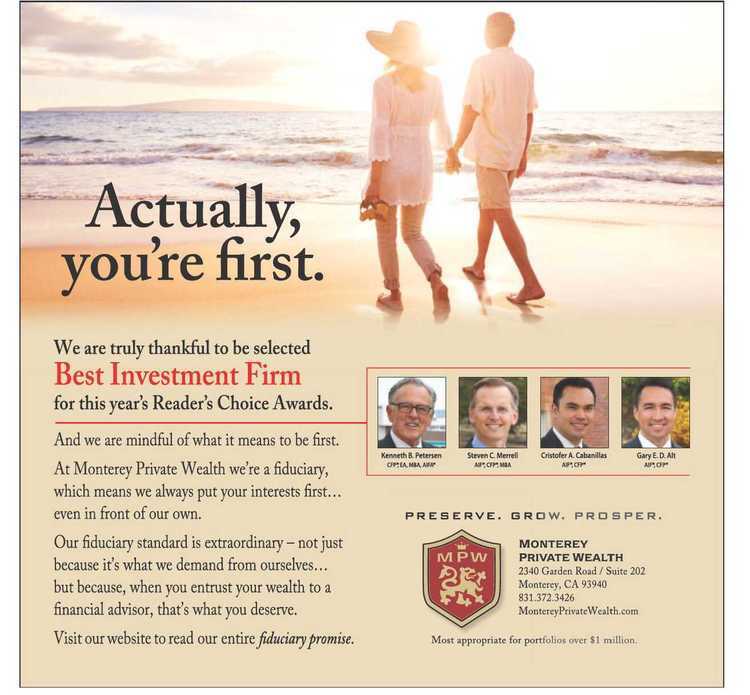 We are excited and highly honored to announce that Monterey Private Wealth was voted as "Best Broker/Investment Advisor" and "Best Investment Firm." We thank all of those who voted for us! In our pursuit to be the most highly respected investment advisory and financial planning firm in the Monterey County and the East Bay area, we continually strive to offer our clients exceptional customer service and hold ourselves to high fiduciary standards. We are humbled by the vote of confidence from our clients and the people of the Monterey Bay area, and we are grateful for the opportunity to serve you. You can view the Monterey Herald's Readers Choice special edition section here.